Dear readers, in this Christmas season, I'm going to have to admit that I've got cookies on the brain, a veritable cookie fever, if you will. Cookies, cookies, cookies everywhere! What can one do, though, with Christmas parties coming up one after another and a little girl at home that loves her cookies and milk? Our latest discovery of fun cookies to make and bake for the holiday season are these wonderfully fun and amazingly beautiful Stained Glass Cookies. I can't believe that I had never seen these cookies before! Where the heck have I been? Who would have thought that one could make cookies that let light in through a colorful candy window?! Amazing cookiness, if you ask me. And you can even hang them on your Christmas tree! Brrrrrr! All day long a chilly autumn wind has been blowing in through the crack in my window, outside its been raining on and off and the world is all wet and dreary. On days like this there's nothing that warms you up better than a touch of the right kind of traditional Cantonese sweet soup. And the right kind of sweet soup, at least for me, is the kind of sweet soup with a bit of ginger in it, no, no, I must be upfront, a darn boatload of ginger in it. Yummm...that delicious spiciness of ginger! How good this Chinese Sweet Potato Ginger Dessert Soup 番薯姜糖水 is, soft comforting pieces of luscious yams floating in a sweet and fiery soup that warms you right through to the tips of your toes! Yeah, it's that time of the year! The countdown to Christmas is here! I love the Xmas season despite all the rampant commercialization of it these days. There's always been something really wonderful, warm and fuzzy to me about it all. And now that we've got a little girl it's even more fun to celebrate Christmas, there are gifts to hide, decorations to put up, christmas carols to sing! We kicked off the season this year by making these yummiliciously fun Snowball Melting Moments Cookies; a cookie easy enough for my little girl to make, mostly, by herself and good looking enough to give away as a gift. I mean who wouldn't want to make and eat cookies that look, taste (in my imagination, at least), and melt deliciously in the mouth just like real snowballs! Check out our sister website! Hello Dear Readers! Some of the links on this site are affiliate links, as you've probably noticed. The thing is, should you click on these links and decide to purchase anything, we will receive a tiny commission that will go towards the costs and efforts of making this foodilicious site! So thank you all dear readers, know that you have our sincere thanks for supporting our cookery wookery efforts at The Hong Kong Cookery! 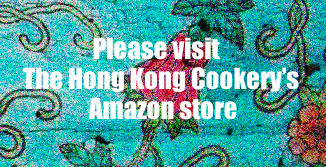 Copyright © 2011-2019 The Hong Kong Cookery. All rights reserved. Powered by Blogger.